← Phew. YYCGayHistory Pride Week Recap. Kevin Allen is now (almost) finished with the federal election so look forward to weekly posts from the research collective until the end of the year. Lots has happened in the last couple of months. Catch Kevin’s interview on Yeah, What She Said, Calgary’s only feminist radio program, airing every 3rd Monday each month on CJSW 90.9FM. Ironically, the pre-recorded interview aired on election day, Monday October 19th! 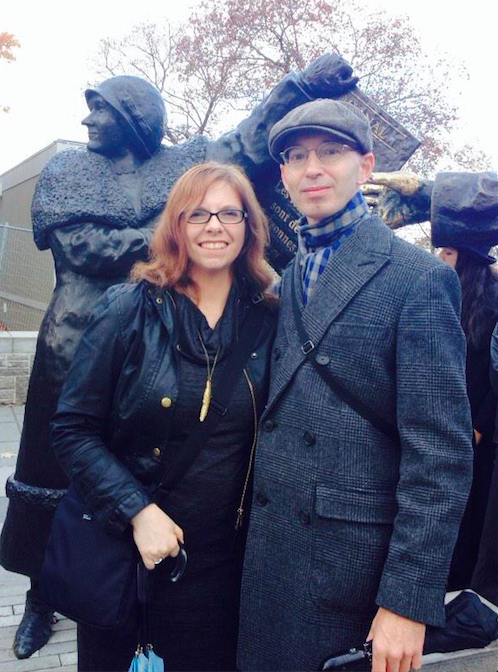 Tereasa Maillie represented us in Ottawa, October 15-17, at Canada’s Annual History Forum. She also had tea with the Governor General at Rideau Hall after attending the Governor General’s History Awards. 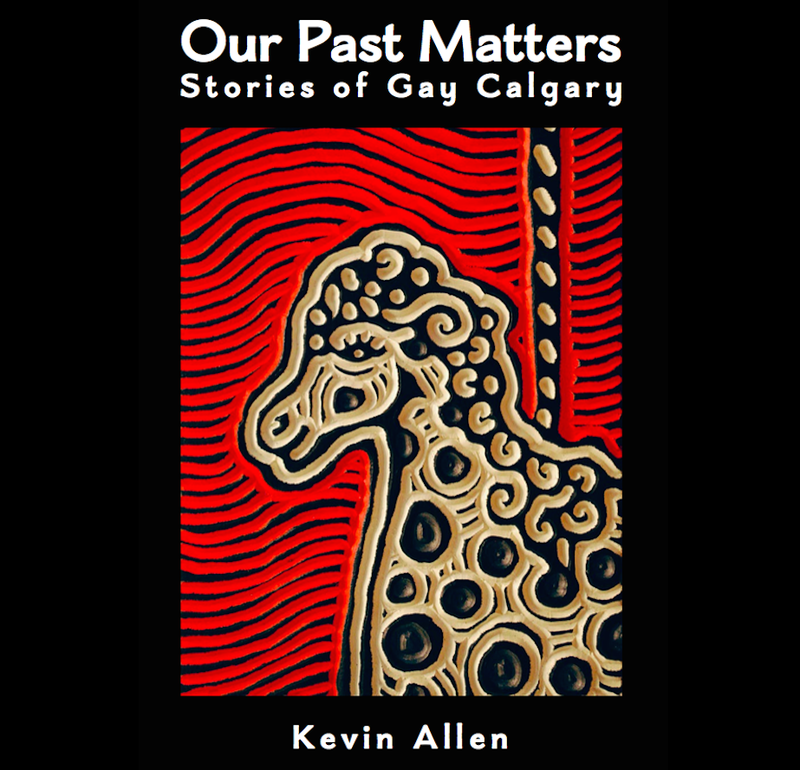 The Calgary Gay History Project was invited because of its honourable mention for excellence in community history programming. Heritage Canada’s 2015 National Trust Conference was held in Calgary. 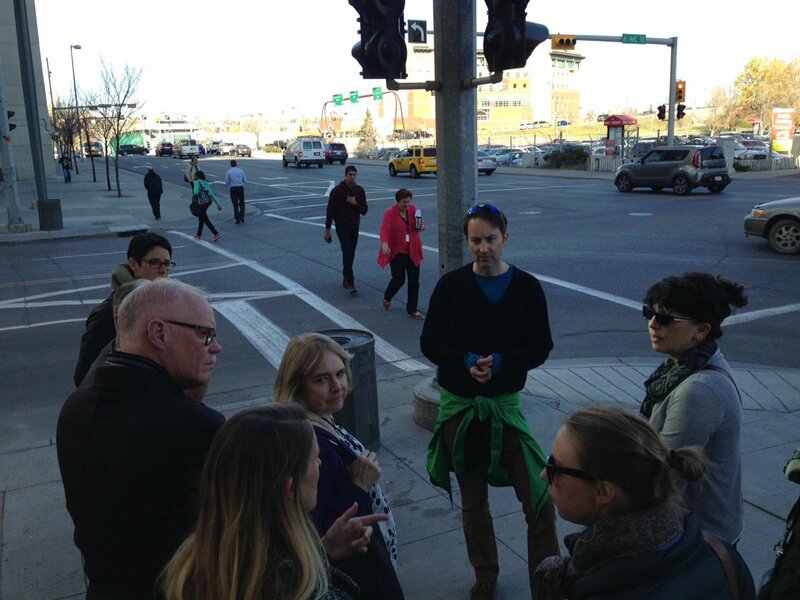 We were invited to give a downtown gay history walking tour to delegates from all over the country. The tour on October 22nd was well received by a particularly enthusiastic crowd. This entry was posted in Gay history and tagged bisexual, Cecil Hotel, CJSW, gay, Gay history, Governor General, Heritage Canada, lesbian, National Trust Conference, queer, transgender, Yeah What She Said. Bookmark the permalink.